KABUL, Afghanistan – A suicide bomber blew himself up in eastern Afghanistan on Saturday, killing 21 people and wounding another 41, most of them believed to be Taliban fighters who had gathered to celebrate a three-day cease fire marking the Islamic holiday of Eid al-Fitr, a police official said. Ghani offered no details of the extension, including how long it would be in effect. The Taliban’s leader, Haibatullah Akhunzada, on Monday separately announced a three-day truce to mark the Eid holiday. The Taliban cease-fire took effect at midnight on Thursday. Earlier this week Taliban leader Akhundzada said he wanted direct talks with the United States before engaging in negotiations with the Afghan government. There was no immediate Taliban reply to Ghani’s latest offer of an extension. While no one has yet claimed responsibility for Saturday’s explosion in Rodat district of eastern Nangarhar province, the Islamic State affiliate, which did not sign on to the cease-fire, has a strong presence in the area. 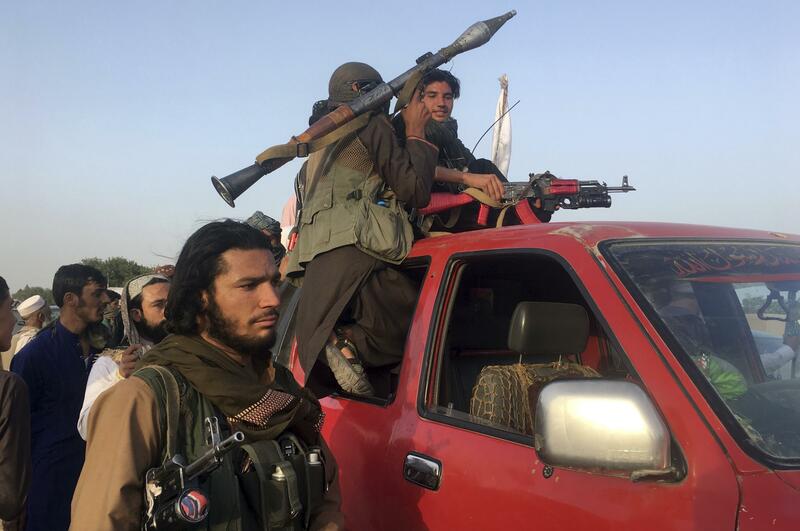 Previously, IS fighters have clashed with Taliban, who have rejected their demands for a caliphate. Abdullah Faizani, a Taliban fighter from Logar’s Baraki district, said it had been seven years since he has been to the provincial capital. “We are feeling that these days are golden days for us, it is so peaceful,” said Majid. In Afghanistan’s northern Baghlan province, Asadullah Shabaz, head of the provincial council, said unarmed Taliban joined in prayers at a local mosque. “We are all just so tired of war,” he said. Published: June 16, 2018, 8:45 a.m. Updated: June 16, 2018, 12:23 p.m.